Kent Steele has been involved in a number of engagements involving valuation related issues for use in litigation cases. Several major court cases utilizing Mr. Steele serves as an expert witness have relied on his valuation expertise. Currently working with a law firm and a title insurance company for a case involving a claim relation to the recovery of special assessment district and the amounts recovered from the developer are dependent on the change in assessed valuation within the special assessment district. United States District Court, Northern District of Illinois Eastern division, 2017. Case involving claims against multiple insurance companies over claims against errors and omissions policies by a national appraisal company. Mr. Steele has examined appraisals of master planned communities throughout the country and abroad involving assets in excess of $10 billion and opinion on valuation methodology and the credulity of the appraisals. Wisconsin, Iowa, Illinois and Indiana, 2017- Mr. Steele is working with attorneys and ownership in the development of multi-year assessment appeals for 8 select-service and full-service hotels. Several of the cases have been resolved after hearings with successful results and the others are ongoing. Mr. Steele is working with a law firm and property owner as the expert witness for a potential litigation assignment on an assessment appeal for a hotel and restaurant property with function space adjacent to a riverboat casino. He is also working with a property tax consultant as the expert witness for a litigation assignment on an assessment appeal for a two-hotel property with function space. Working with a law firm and the tenant as the expert witness for case involving the value of a headquarters office property at the end of the lease term with or without capital improvements that may be required in the lease. Additional consideration also is required to changes in the highest and best use of the property which may be for redevelopment at a more intensive use. Chicago, Illinois, 2017. Mr. Steele worked with an attorney and property owner in contesting a right-of-way taking for a temporary construction easement from a major downtown development site. Mr. Steele prepared an appraisal and provided litigation support services in this case, which was settled before trial. Prepared an appraisal and advised attorneys for an assessment appeals on a major office development in Cook County, Illinois. Assessment appeals for three casino hotels with retail space in several Midwest states. Case settled prior to trials. Counsel on multi-year assessment appeal for a major regional mall in a Midwestern city and for a full-service hotel in Indianapolis. Assessment appeal on 15 retail properties, several hotels, and a major grain processing facility in Iowa. Foreclosure case involving a complex commercial and residential property in Chicago. In the Midwest, Mr. Steele has been the expert retained by property owners in seeking to recover damages due to misrepresentation of facts in a commercial real estate transaction involving a urban hotel. Mr. Steele prepared an appraisal of the leasehold interest in a historically significant former courthouse building in Detroit. The appraisal was party of a strategic analysis for potential litigation against the owners of the leasehold interest for recovery of certain expenses and a fraudulent lease agreement. Mr. Steele advised counsel regarding the nature of the real property interest, fraudulent representations of the nature of the real property relating to building measurement, the relative merits of the leased fee and leasehold positions, as well as the reversionary value of the real property at the conclusion of the ground lease. This information was incorporated into the legal strategy for recovering funds from the partnership. In 2012, he prepared an appraisal for bankruptcy proceeding for an existing self-storage facility in the Chicago area. In this assignment, he was involved a an expert witness in the litigation process, which included counseling the attorneys about supportable debt loads for the property. Throughout 2013-2015, Mr. Steele served as the expert witness surrounding the acquisition of a self-storage facility. His role is to provide testimony regarding the value of the property in different configurations as it relates to a commercial fraud law suit. Prepared an appraisal, served as an expert witness for the debtor in possession for the bankruptcy reorganization of the ownership entity of a country club subdivision. The case was in U.S. Bankruptcy Court in the Northern District of Illinois. Services provided included advising the debtor in possession and counsel about the reasonableness of the marketing and sales program, as well as pricing and yield rates, as it related to the restructuring of debt. In Florida, appeared as an expert in a case heard in the Federal District Court in Fort Myers. Mr. Steele worked on behalf of the defendants relating to the value of a several development sites and submerged land intended for boat slips in Naples. The FDIC sought a deficiency judgement against the defendants. Mr. Steele prepared an appraisal of the real property, reviewed other appraisals of the property, advised counsel of the case and gave expert testimony in depositions and federal court. The judge awarded a judgement against the defendants. 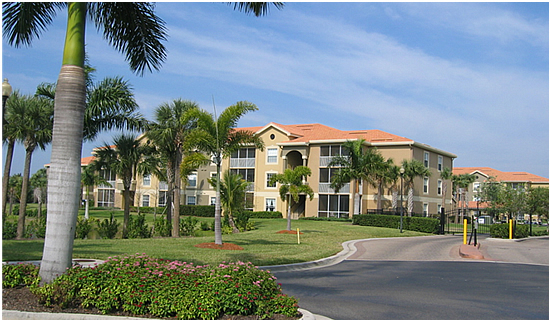 Mr. Steele prepared an appraisal of the fee simple interest of the remaining 370 units in a 390-unit condominium conversion in Tampa for a law firm working on behalf of a lender. The appraisal was used for pre-foreclosure purposes, although the lender still has the loan on its books. In addition, counsel was provided to the attorneys working on the case about issues concerning the real estate and the possible bankruptcy filing of the developer.